Toimeksi.fi is a national web portal which includes several parallel online services operating on different regional areas. If you are an active participant in civic activities or organisations, you are entitled to upload an advertisement for a non-recurring event or a piece of news to the portal for free. If you are involved in reoccurring activities or events, we invite you to register free of charge at your regional online service and continue providing content for free. Please note that the instructions as well as the user interface of the service are in Finnish. Toimeksi.fi – Let’s do this! Each online service includes information on its content providers primarily in Finnish. 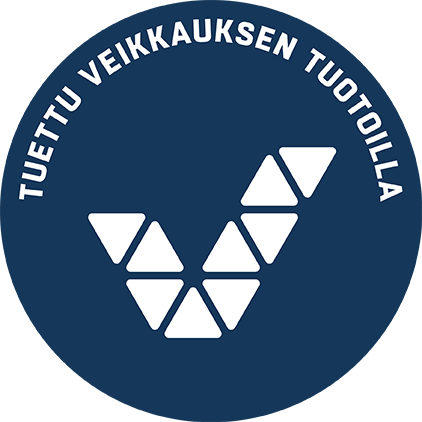 The web portal also provides information in Finnish to support organisations and civic activities in Finland. Our regional parallel online services also feature content in other languages besides Finnish. These contents can include items such as introductions for services or events. The motto for the web portal, ‘Let’s do this’, portrays the idea of making the activities visible and participating in them actively. We invite you to find the most interesting activities and events in the web portal and get involved! Northern Ostrobothnia: www.ihimiset.fi (service provider Pohjois-Pohjanmaan sosiaali- ja terveysturvayhdistys ry) and www.varesverkosto.fi (service provider Vuolle Setlementti ry). See the regional online services in the presentation. The content featured in these online services in mainly in Finnish. wish to find out more about the service. Any feedback or new ideas concerning the web portal can be submitted in Finnish, Swedish or English by using a form. The Toimeksi.fi web portal is being developed from 2016 to 2018 by the Toimeksi 2.0 project funded by Sosiaali- ja terveysjärjestöjen avustuskeskus (STEA, the centre for welfare and health related organisations, known as Finland’s Slot Machine Association until 01/01/2017). The project is coordinated by Pohjois-Pohjanmaan sosiaali- ja terveysturvayhdistys ry. The development of the project is also carried out by the Toimeksi.fi network which consists of the service providers for the web portal. More information on the Toimeksi 2.0 project (in Finnish). 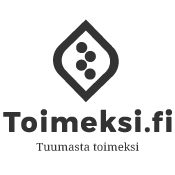 The web portal at www.toimeksi.fi was launched in the beginning of 2013. The web portal has been developed in collaborations of multiple organisations and it has been funded by Finland’s Slot Machine Association.